Just exactly how big is the tablet market expected to get? Almost one in three Australians are forecast to own one by next year, according to technology analysts Telsyte. The firm’s research shows the Australian tablet market grew 188% year on year in the first half of 2012 and is on track to reach 2.37 million units sold by the end of the calendar year. Penetration currently sits at 15% and is set to reach 30% in 2013 and around 50% by 2016. Research director at Telsyte, Foad Fadaghi, says the uptake rate is comparable to the growth seen in smartphone penetration. 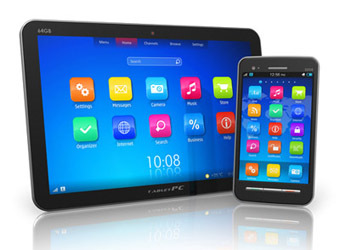 “Media tablets are a rapidly growing opportunity for vendors and media organisations. Within four years half the population will be relying on such a device for a lot of their computing needs, covering education, entertainment, productivity and other applications,” he says. Apple’s smaller form iPad, which Telsyte thinks will come to pass, and Microsoft’s Windows 8 Surface RT tablets are also expected to be competitively priced when released later this year. Telsyte predicts Apple will maintain its market leading share of three-quarters of the market for at least the next 12 months. Business analysts Frost & Sullivan have more conservative forecasts of tablet penetration. They put current ownership at 13% and forecast penetration levels of 29% by 2017.